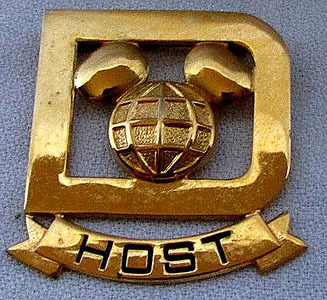 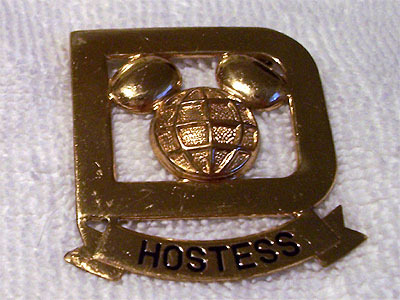 Badge worn by a cast member selected to be a Walt Disney World Ambassador, 1981-1996. 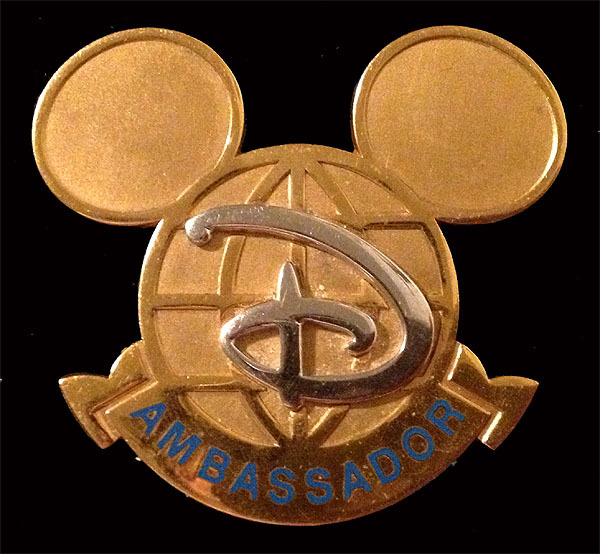 They represent and promote WDW for a term of two years in the media and special events. 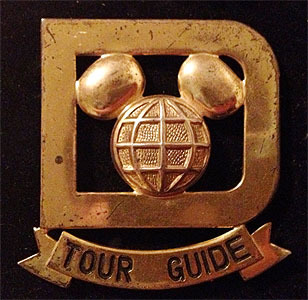 Walt Disney World giving guided tours of Magic Kingdom park. 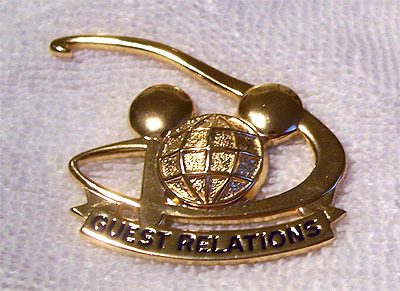 Guest Relations roles at Walt Disney World.